If you are looking for a basic compact tractor that offers maximum value and more functional features than competitive models, the G-Series is an excellent choice. All our G-Series models are designed to handle light to medium duty applications and provide more front end loader lift capacity than competitive models. Even better, when you add up all the features that come at no additional cost, you will appreciate that the G-Series gives you a lot more for less money than stripped down competitive models. With all these extras, the G series can work harder in the field so you don't have to. 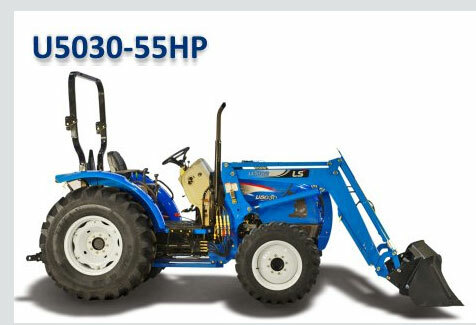 And like all LS tractors, it comes with our exclusive 5 year limited power train warranty. Typically used on 5 to 30 acre farms, the G-Series works well with 5' rotary cutters, 6' tillers and 5' box blades. All out G-Series value compact tractors are designed to handle a variety of applications such as mowing, pasture shredding, gardening, creating food plots for hunting, landscaping, cleaning out stalls, moving small square bales of hay, trenching, land clearing, fence building, snow clearing and more. As with all LS Tractors, the G-Series value compacts come with our signature Get More features. To see the long list of what you get at no additional cost, click on the More Features tab. Then, compare to the other brands and you'll see why choosing an LS Tractor will give you the satisfaction of knowing you got a great tractor and more for your money.